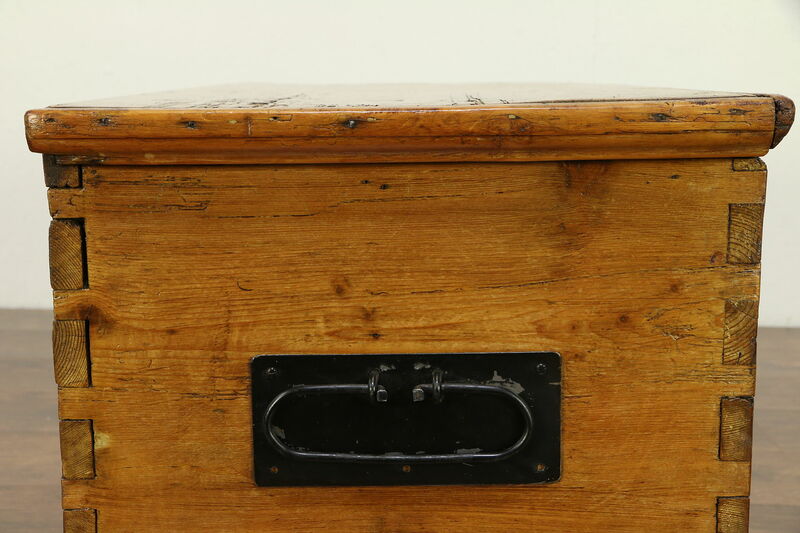 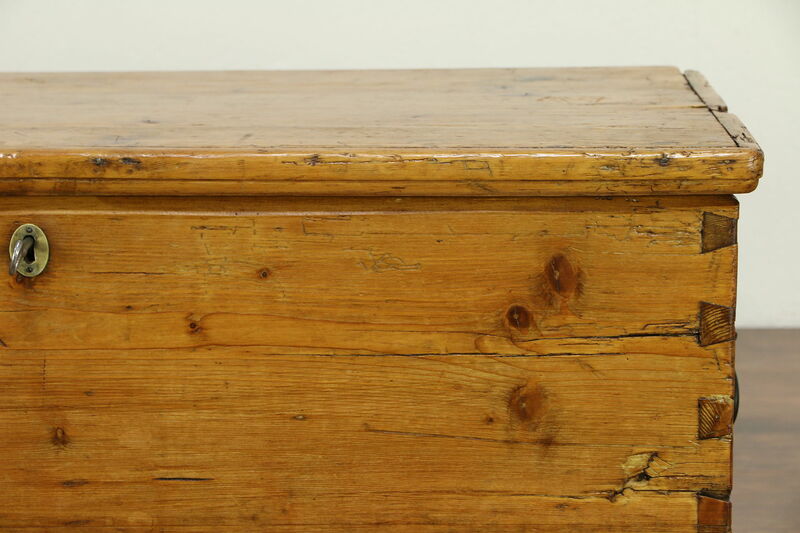 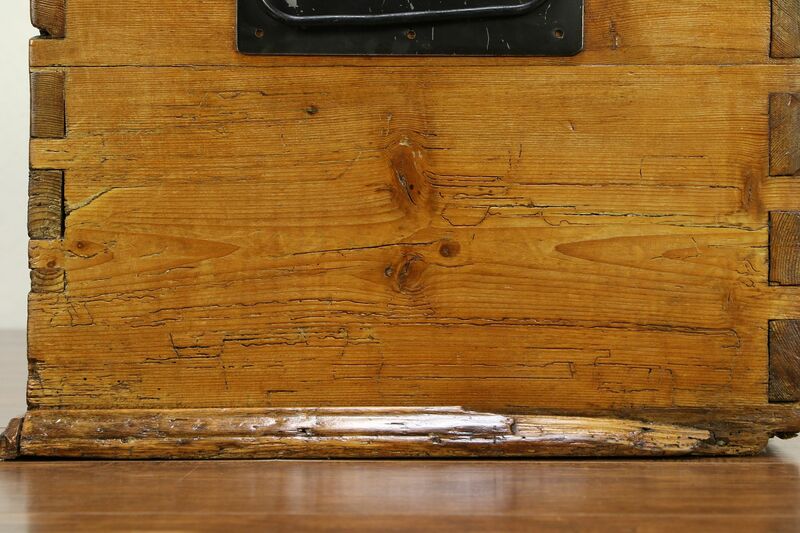 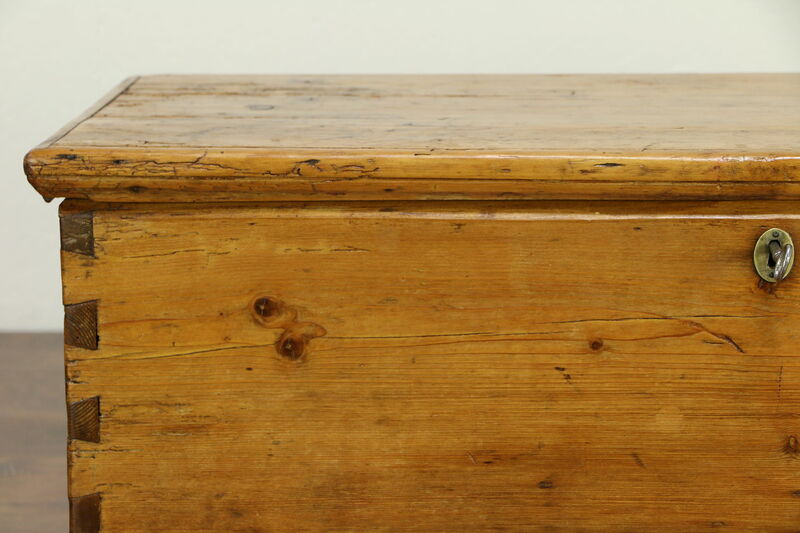 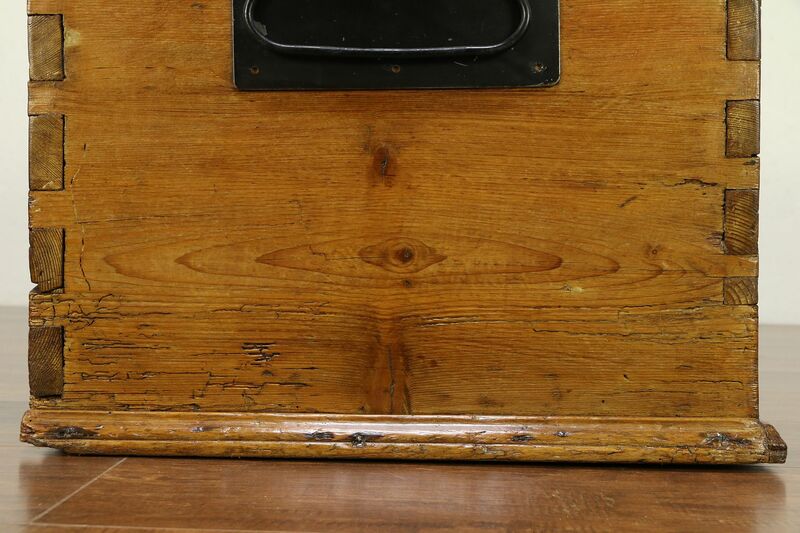 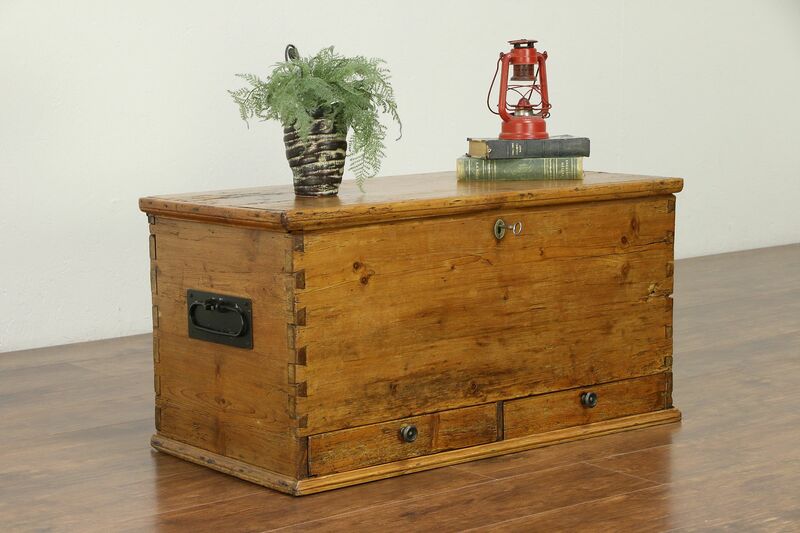 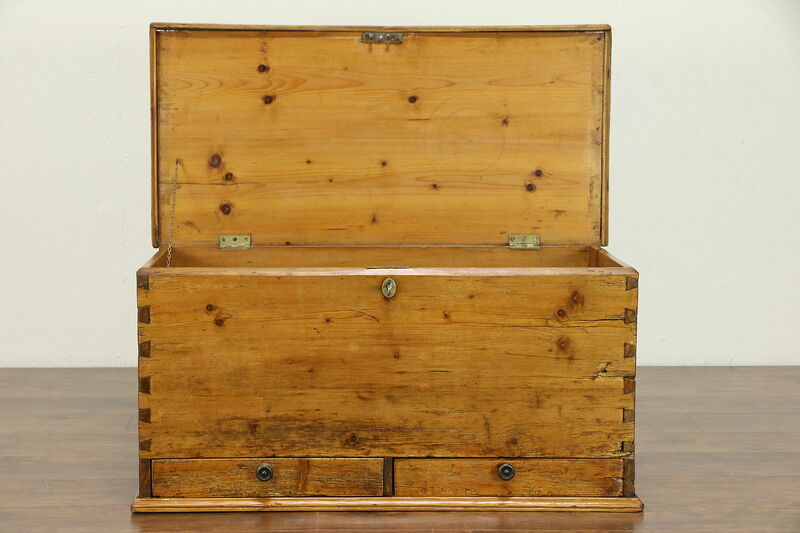 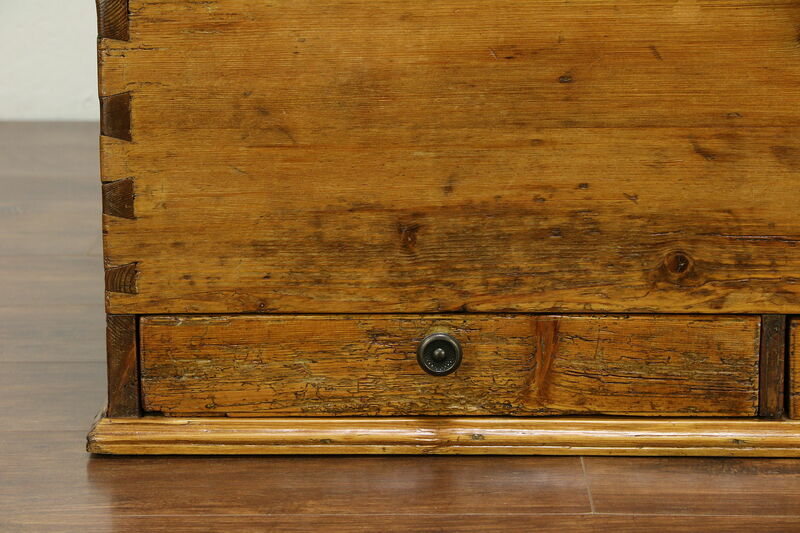 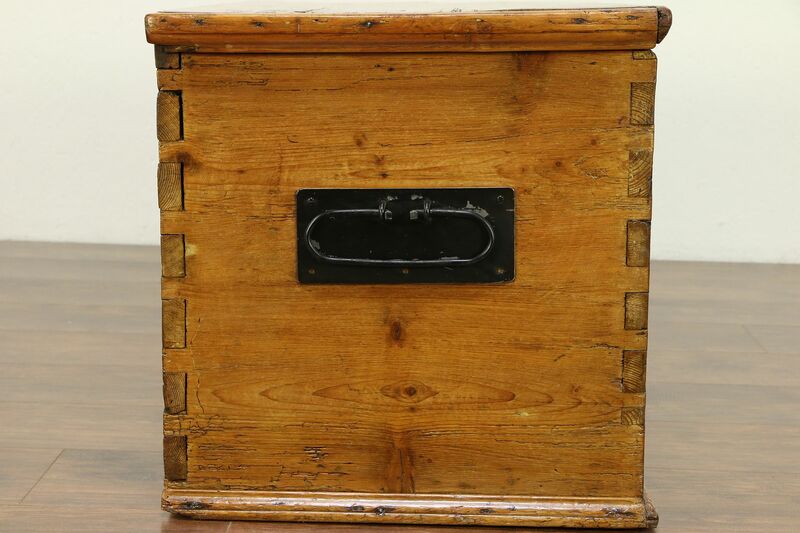 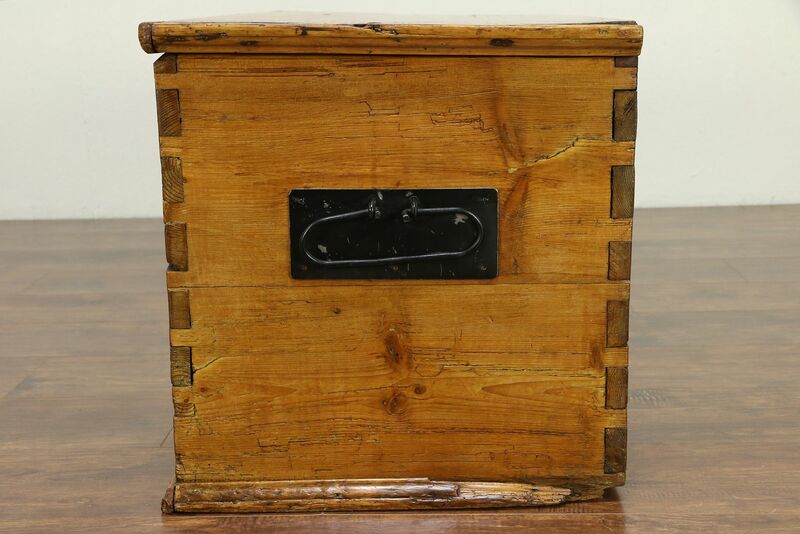 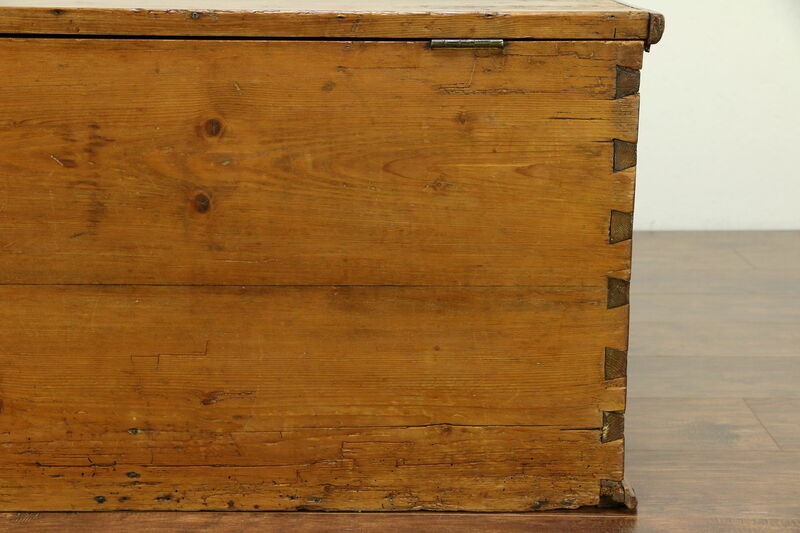 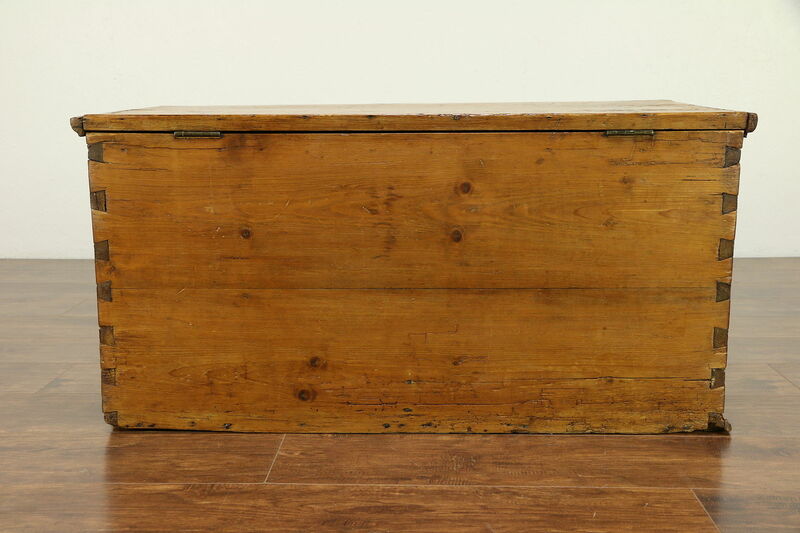 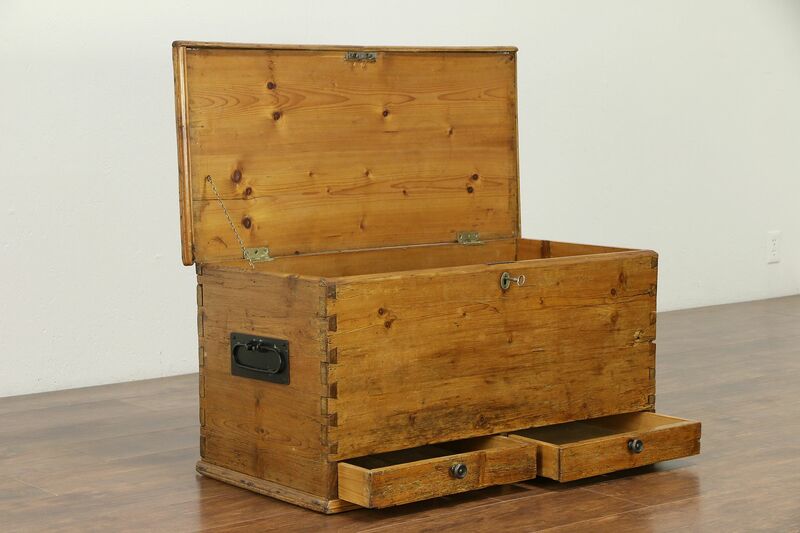 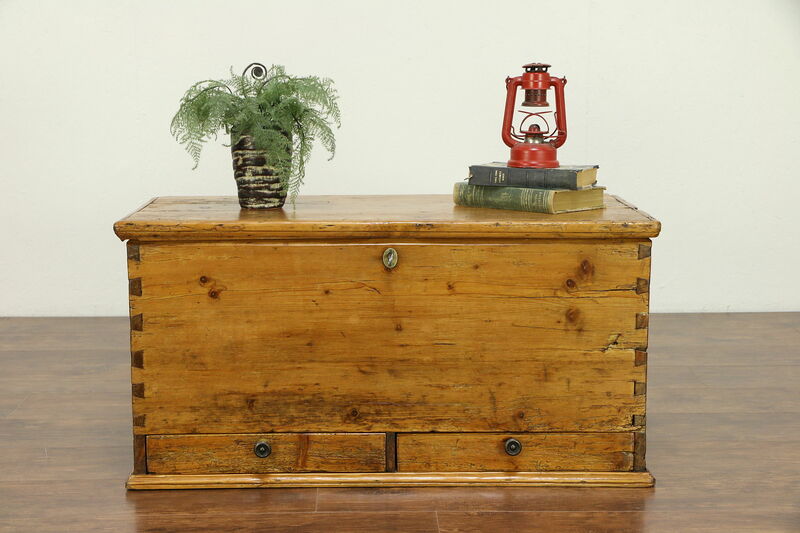 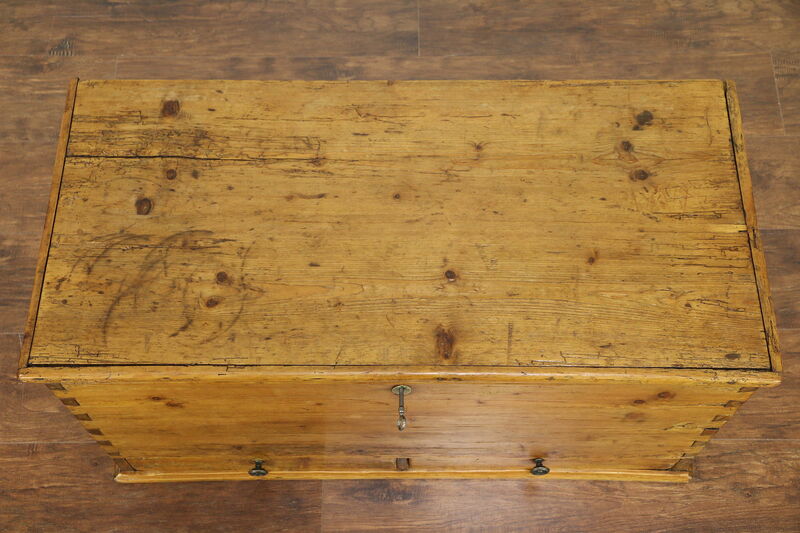 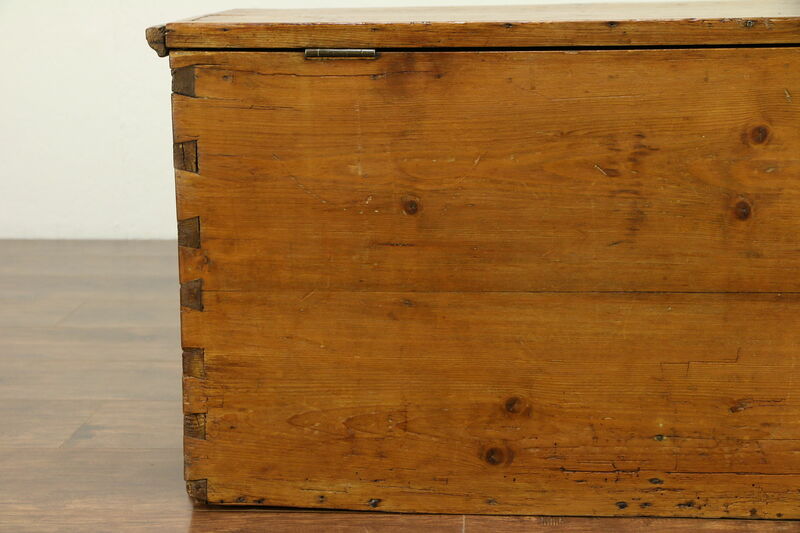 A country pine trunk or blanket chest was hand hewn in the middle 1800's, and would make a picturesque coffee table. 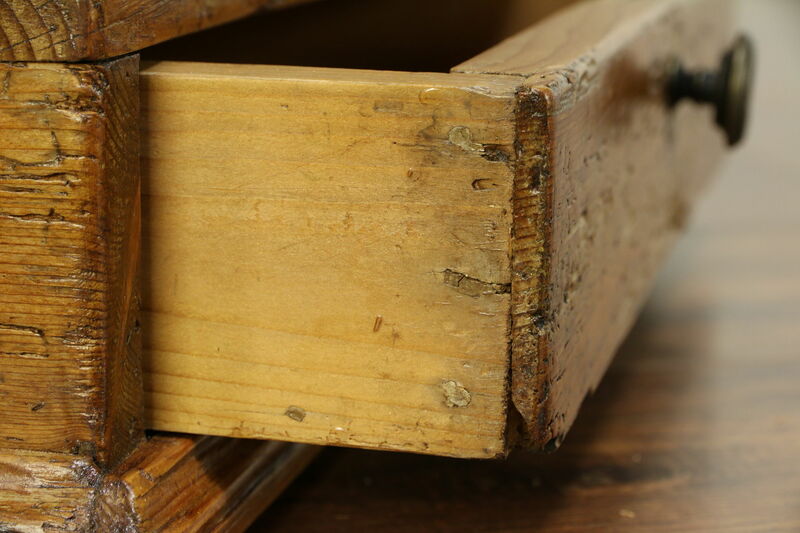 Corners have hand cut dovetail joints and there are drawers in the base. 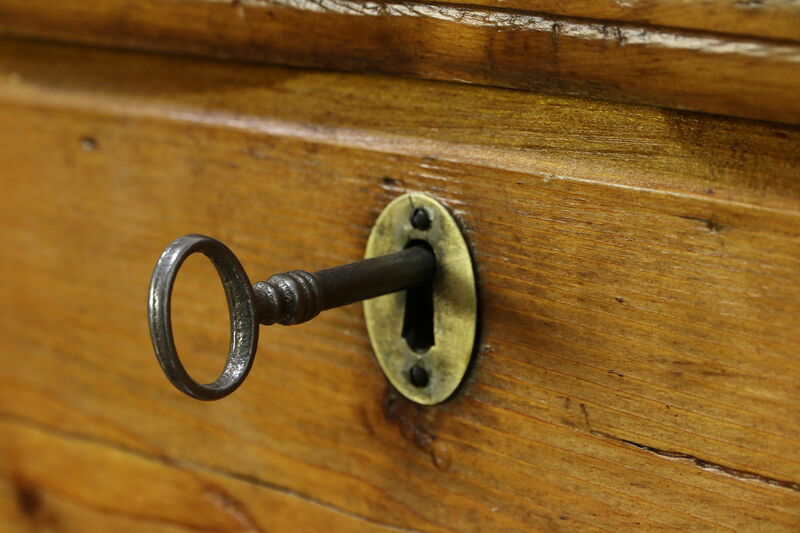 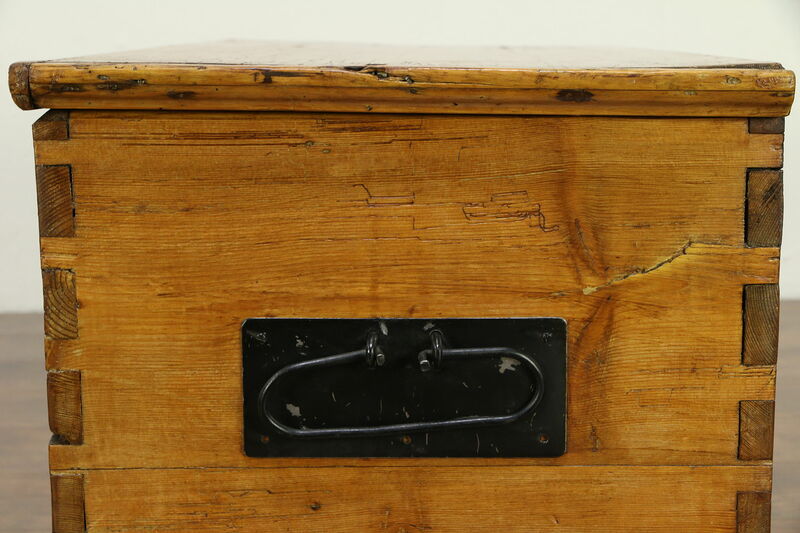 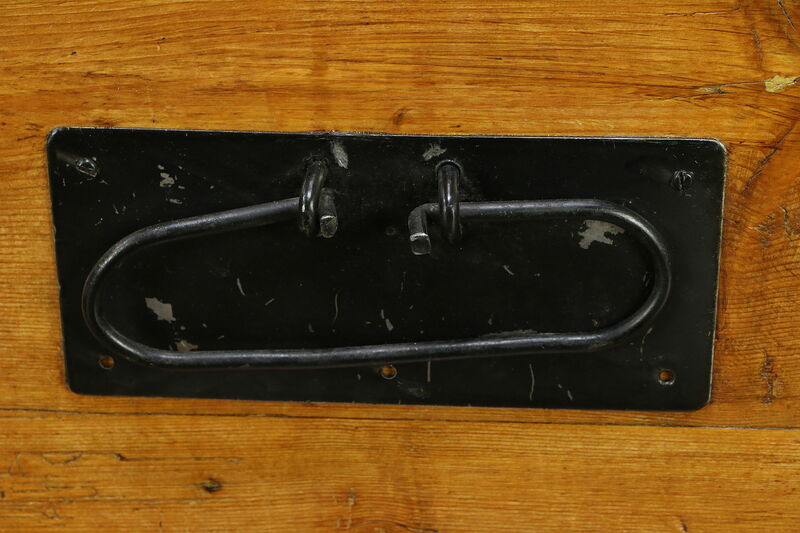 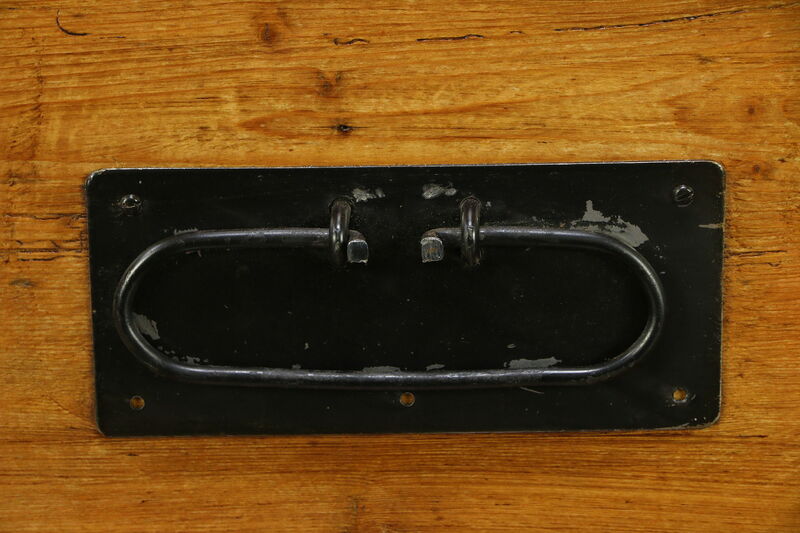 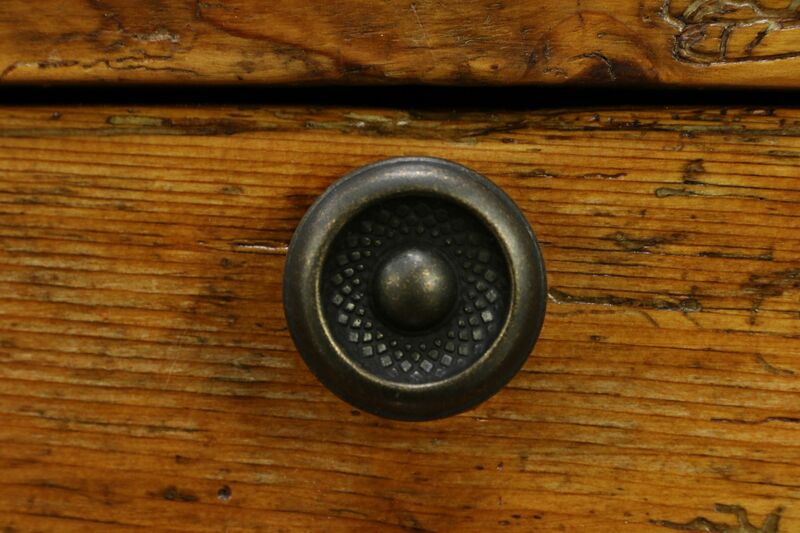 The original lock works with an iron key. 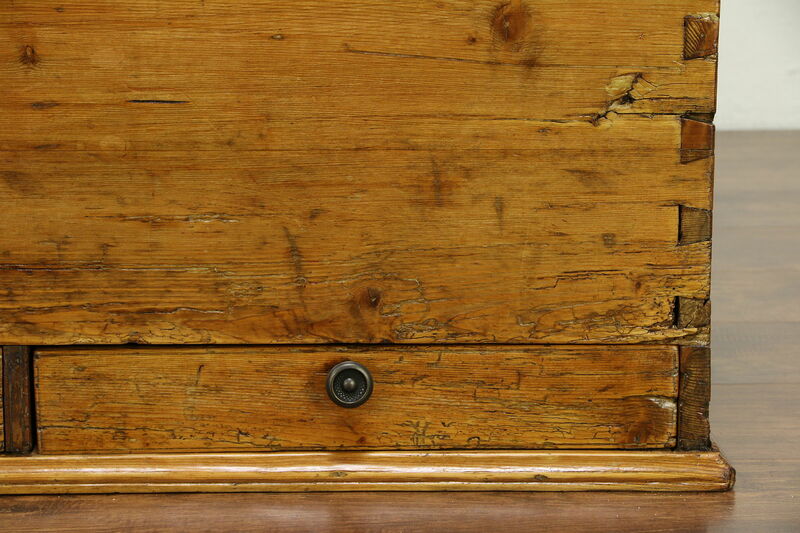 The restored finish is in excellent condition with warm patina, preserving loads of antique character - losses, stains, wear and shrinkage separations from age in the wormy solid pine wood. 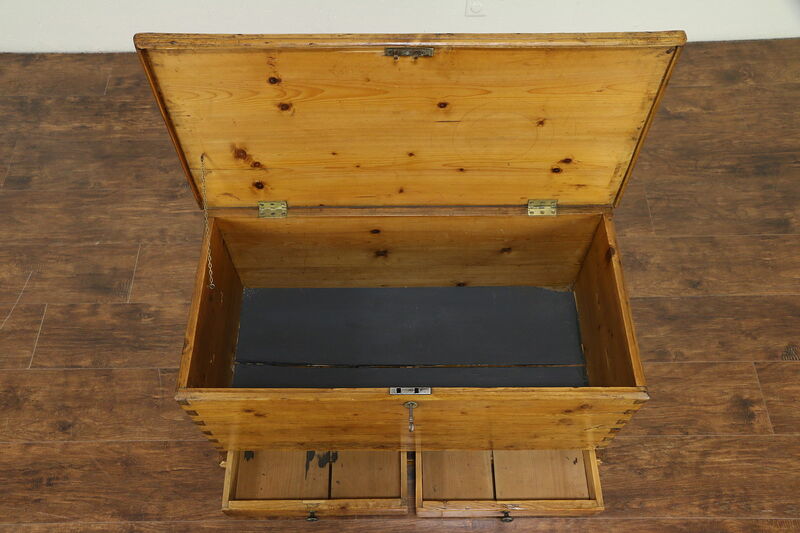 Dimensions are 38" long, 18" deep and 19" tall.